Hello. My name is Stephen Pelzer, I’m 24 years old and I’m currently a camera operator for filming of the Autism Channel World News. I also research stories for the news program to use. A little while ago I was asked to start doing a blog for the Autism Channel. Here is my introductory post. I hope you’ll post comments – it can be lonely on a blog. There are 3 main ways that people learn about autism. The first way almost everyone comes across the concept of autism is by watching movies and TV shows. Some TV shows include The Big Bang Theory, its recent spin-off show Young Sheldon, The Good Doctor, and Scorpion. A lot of people have seen or at least heard of the movie Rainman where Tom Cruise plays a man who learns that he has an autistic older brother played by Dustin Hoffman, and bonds with him during a road trip. My mom is a huge fan of the BBC show Doc Martin and my dad is a fanatic of Star Trek and its spin-offs. Both series have had at least one character with traits of autism. A TV show called Parenthood, which wrapped up in early 2015, had a kid who was diagnosed with autism in the first season and by the time the series wrapped up, his shadow married into the family. In future posts, I’ll talk about whether the media is getting it right, at least to me-and I hope you readers will comment. The second main way people learn about the autism spectrum is by knowing someone with it, and it’s definitely a spectrum. One end of the spectrum is occupied by people who seem to be in worlds of their own and can’t or don’t want to spend much time away from them. I’ve met a few of those people and I just wish that there was a way to get to know them better. At the other end of the spectrum are the people dubbed “aspies”-people like Temple Grandin, Sheldon Cooper, Sherlock Holmes, my maternal grandfather, and me. I may have had other relatives with it but I can’t say for certain. I’ve been playing D&D since Christmastime 2016 and the players in my group “get” each other and have learned to live among non-Spectrum people, basically our equivalent of the Muggle world. There are moments where it’s hard for me to shift my focus to topics I don’t really want to focus on at the moment, but since the time when my parents first heard “Asperger’s” I’ve learned a lot, worked a lot, laughed a lot, and lived a lot, like most people. Let me know if you don’t really laugh that much. Many people know me for my jokes, and my cooking – but that’s another story. In future blog posts, I may post some recipes. The last main way people learn about autism is in the news, but it’s not often portrayed positively or accurately. When a mass shooting focuses on the perpetrator having autism, it just sounds like trying to make sense out of something that doesn’t make sense, and it disgusts me. The current statistics are that 1 in 68 people in the US have autism, but that doesn’t automatically make them potential time bombs waiting to go off, or brilliant scientists, or underage doctors, or undefeated detectives, or innovative inventors. Most of us are just living our regular everyday lives like ordinary people, but we whisper more about our focused interests than others. If you would like to post with readers about your special interests and why they interest you, do so by all means. Let’s try to make this our own news and write our own personal stories. Welcome to the world of autism. Just join me and share your world with me too. Even if you’re not autistic, you might be interesting in one way or another. Stranger things have happened in this world. Family, friends, and teachers have all gotten on me about how I have to write a book. About what, no one ever seems to say, just that I need to. While I’ve written scores of commercials for radio, a PSA for movie theaters, and a few short stories, I still haven’t been able to tackle The Big One. Writing a book has proven to be quite difficult. It’s not something you can just sit down and do — or at least it’s not something I can just sit down and do. So I have nothing but respect for those who did find a way to sit down and do it, especially those who, like me, are on the spectrum. James Williams, an author with autism, has done just that — twice. Mind you, his first book, Out to Get Jack, was written when the author was only thirteen, and like the writing of most thirteen-year-olds, it’s much too inchoate for me to give it a fair shake in this arena. However, his 2011 outing, The H.A.L. Experiment, is considerably more polished, a piece of young adult science fiction with the potential to inform and entertain young readers both on and off the spectrum. In The H.A.L. Experiment, Mr. Williams explores that fundamental argument of developmental psychology: that of nature versus nurture. Here, it is applied to children with autism: that is to say, how much autistic behavior is a function of being treated like a person with autism, or, in some instances, like a second-class person? An unscrupulous grade school principal looking for fame arranges to have Lenny, a boy with autism, live with a colleague of hers while being treated as if he does not have autism. At the same time, the family of Hector, a young bully, will be made to treat their son as if he does have autism. Along with Alice, a friend of Lenny’s who acts as something of an intermediary in this scheme, the three children make up the namesake H.A.L. Experiment. Perhaps unwittingly, the novel’s setting proves to be one of its more interesting aspects. Mr. Williams is a native of the Chicago suburbs, and wisely chose to write what he knows. In his case, it’s the North Shore, a chain of affluent railroad suburbs along the Lake Michigan shoreline, spanning from the Northwestern campus in Evanston up to the old-money horse farms of Lake Forest. (As for how far inland the region can be said to go, most natives will tell you the designation terminates just west of their own lot line. It’s that kind of crowd.) Suburbia as a fictional trope is traditionally all about incubating a sort of painfully average boredom and alienation, but the North Shore is a different beast, one that has been surprisingly well-mined in American fiction. This is the suburbia of Ordinary People, of Mean Girls, of countless John Hughes films: a place where you’re reminded of success and expectations at every turn, opening up wayward paths into selfishness, social climbing, and despair. In towns where even the elementary school principals have their doctorates, it’s not wholly unreasonable that a school administrator might subject children and families to a highly abusive experiment out of sheer runaway ambition. As a native of Northbrook, Mr. Williams must have sensed the pressure to succeed among his own teachers, compiling and amplifying those traits to create his Dr. Wikedda (a play on Winnetka? ), whose experiment as carried out never could have passed the most lenient of ethics boards. The author captures a host of other hyper-local details that form a definite sense of place, from drives down the North Shore’s main artery of Sheridan Road to the region’s vast forest preserves to emotionally distant dads taking the Metra to their jobs on the Board of Trade. As someone who just this summer discovered that a Northbrook forest preserve is bigger on the inside than it looks from the outside, just as a character notes, Mr. Williams’s faithful representation of home, with all its good and bad, made this fellow Chicagolander smile. While it’s important to remember that this book is presumably aimed at young readers on the spectrum who may take an interest in the broad-brush speculative nature of the story and in grown-ups being made to look foolish, I still have reservations about the greater narrative of the book. That much of the experiment’s “treating him like an autistic kid” consists of adults being downright abusive is troubling. 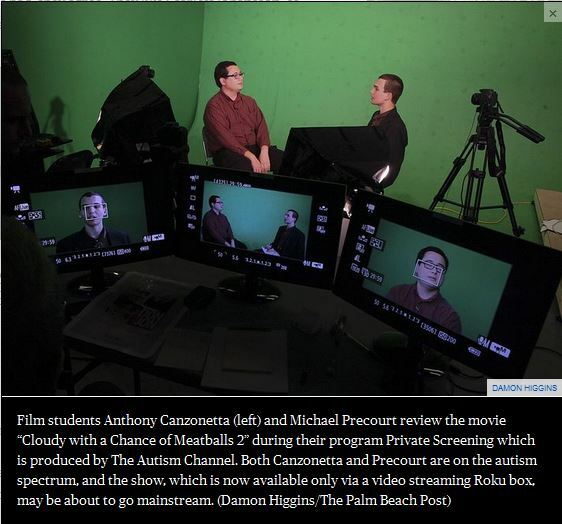 In my role as a producer with the channel, I have had the opportunity to meet numerous families of autistic children, whether through home video or in person. I’ve been made aware of parents who have treated their autistic children very poorly. I have also met parents who demonstrate preternatural compassion, patience, and dedication to their children. Thankfully, the latter has outnumbered the former. Perhaps this is the unspoken fundamental flaw in the doctor’s experiment, a sort of twist on the Unreliable Narrator trope, but there is no single way to treat a child as if he or she has autism. If there were, it certainly wouldn’t be for parents to belittle and scream at their child for minor transgressions, as the experiment seems to prescribe. The entire approach leads one to wonder how much of this writing was an exercise in catharsis. I can’t help but worry about the ramifications of giving young readers on the spectrum the idea that any raised voice is something so victimizing as “treating me like an autistic kid.” While adults do not have a good showing in this story, the principal characters Hector, Alice, and Lenny are clearly written with the author’s sympathies. While I’m glad that the author completed the accomplishment of writing this book, I would be remiss in not addressing what I feel are a few unavoidable realities about the self-publishing industry, of which The H.A.L. Experiment is a product. I’ve come to suspect that some of us are laboring under the false premise that writing is a solitary and intensely personal pursuit. And it is — when you’re keeping a journal. When you are producing something to be shared with the world, however, there need to be gatekeepers along the way, gatekeepers whom the vanity press does not require. A distinct example of something that never should have made it to press is the use of uppercase letters to denote yelling. In a story like this, tension among characters runs high, and this needs to be communicated. However, while all-caps is understood to mean yelling on the Internet, it’s a convention that does not lend itself to the printed page. Reading line after line of dialogue set in caps is hard on the eyes, and goes beyond evoking narrative tension to simply upsetting the person who is trying to read the book. In the plainest of terms, it’s unprofessional. I understand the reluctance. I’ve been on both sides in my professional life. I’ve edited and been edited. I’ve proofread and been proofread. I’ve come out of either role feeling hurt, embarrassed, or convinced I must be the only sane person on the planet. I know my counterparts have felt the same way. One of the toughest things an aspiring writer has to do is disabuse oneself of the notion that creativity is to spring forth unimpeded and untouched by any other person, lest the sole artistic vision be compromised. A great way to learn this lesson is to write for radio: it’s simply amazing how much the exact words you chose don’t matter when another person has to read them out loud. I still won’t claim to be perfect in this respect. Even recently, I have, to borrow a phrase from the late David Foster Wallace, “bared my canines” on some flourish that I could not, would not part with. But I know that I can’t leave my writing unchecked. Even on this blog, I benefit from editorial oversight to tell me when I’ve gone off the rails, or when some turn of phrase isn’t nearly as clever as I think it is. And so it is that The H.A.L. Experiment could have used some reining in at select points. At 225 pages, it gets to be rather long for what I presume is the intended audience. Overall, the book features an interesting story arc and allows the author to demonstrate a keen sense of wordplay, the sort of love for language that we so often see in many on the high-functioning end of the spectrum. If absolutely nothing else, The H.A.L. Experiment will serve as an inspiration to youngsters with a similar love for language that writing a book isn’t an insurmountable task. It’s for that reason that I give the book a recommendation, albeit a cautious one, to parents and school librarians. There’s no question that James Williams has natural writing talent. Now, for the nurturing. Starting off this superhero feast is the appetizer. Much like loaded potato skins, Iron Man 3 is filled with many elements as not only is it the follow-up to The Avengers, but it’s also the final movie in the Iron Man trilogy. Directed and written by Shane Black (who has been credited with kick-starting RDJ’s career-resurrection with Kiss Kiss Bang Bang), it is the darkest of the Iron Man movies while also being the funniest as it expertly blends dark humor and darker stakes with the MCU’s signature action and snark. As for the Fakon (tofu bacon)… Well it would be a spoiler to explain exactly what I mean by that. Yes, I’m going a bit out-of-order with this, but much like bread in a meal, Thor 2 is the “weakest” of the MCU Phase 2 movies, but only in comparison to the others here. Both cheesy garlic bread and Thor: The Dark World fulfills their jobs sufficiently and is fun in of themselves as well. While it does put a little too much focus on the comedy (hence the cheese analogy) and has the weakest villain in all the MCU flicks (seeing how he’s being pushed aside in favor of more Loki… not that I’m complaining) it’s still fun with good action and humor. A throwback to an older genre much like the movie this is a sequel to (The First Avenger was a throwback to pulp propaganda flicks while The Winter Soldier has elements of political thrillers). This is an especially accurate comparison as each of the ingredients in the smokehouse salad can compare to different aspects of the movie; the lettuce is like the healthy relevance to contemporary concerns over ‘security vs freedom’, the meat is for the narrative heft of Steve Rogers character development in being a solider displaced in time, the cheese is the humor, the fried onion tanglers are the crunch of the more brutal action (relying more on guns and explosives than the fantasy of Thor of the sci-fi of Iron Man and Guardians), the dressing is the fun, and all these elements come together to create one of the best gorram salads/movies of 2014. In all honesty, I’m not a stew person and thus I couldn’t think of anything specific, but this analogy still fits. Much like a stew, Guardians of the Galaxy was the result of throwing a lot of things into a pot and hoping for the best and boy does it. It masterfully blends together Whedon-style snarky character interactions, plenty of sci-fi action, and fun to become my favorite movie of 2014. Nobody saw this movie coming, but when it arrived no one was complaining. Here we are folks, the hearty main event the previous courses have been setting up for. Much like a Turducken, Avengers: Age of Ultron crams together a whole lot of elements and established characters into a spectacle extravaganza that can seem daunting and a bit bloated, but still works deliciously well. Being the official end to Phase 2, it fits that Ant-Man be a scaled-down dessert to follow-up the huge main course as a cool down. While the stakes are much lower than in the other Phase 2 movies, it still works as much of the focus is on the comedy elements which work really well and they take advantage of the premise (shrinking powers) to deliver really creative action sequences and some of the character development is sweet too. As for the flavor; well Ant-Man’s suit is red and cherries are considered old-fashioned so it more-or-less fits. Reading about autism can be helpful in so many ways. Some titles offer specific forms of advice: how to find employment, how to handle relationships, how to succeed in college. Other books, such as the AAP’s estimable What Every Parent Needs To Know, provide medical expertise across a variety of issues. Still others give us a slice of life from a family affected by the autism spectrum, providing us real anecdotes from real people, the kind that make us laugh, cry, and learn. Autism and the World According to Matt by Liz Becker is one of those books. Across a large collection of small anecdotes, we learn about Ms. Becker’s son Matt and the difficulties he has faced and overcome as a person with autism. Though the journey is long and not without its bumps, Matt is able to graduate from high school and begin the road to self-determination. Ms. Becker is a gifted storyteller who captures pivotal chapters of Matt’s life with passion and evocative imagery while remaining comfortably readable, avoiding getting lost in the details or losing the reader with a barrage of witty asides. Perhaps the author’s scientific background helps her to balance a colorful narrative with detailed reporting, just as it informs her zeal for finding answers to the questions in Matt’s life. Still, the writing is anything but dispassionate, perhaps best seen in a passage that recounts Matt’s reluctance to move away from his native Virginia – not the federal sprawl of Northern Virginia but the natural splendor of Appalachia, a part of America that’s as worthy of sentimental attachment as any. (Matt is a diehard Virginia Tech fan, too.) Though my local scenery is no comparison, Matt’s desire to remain home reminds me of my own deep-seated attachment to Chicagoland and all the good and bad within. Even as The Autism Channel tempts me with South Florida sun, I don’t feel truly comfortable away from what I know best. Staying on this point, it bears noting that Matt and I are roughly the same age. We both grew up in a time before today’s comparative ubiquity of autism awareness. Nonetheless, our experiences were very different. While Matt can be said to have moderate to severe autism, he benefited greatly from a sound intervention strategy. Without a diagnosis and strategy, I spent years floundering academically and socially, appearing instead as someone who just didn’t want to “play the game” or have friends. What Ms. Becker does in Autism and the World According to Matt is further underscore not only the primacy of gaining a diagnosis, but how parents must always be learning, always trying to help. Even though we know more about autism today than we did when Matt and I were kids, it’s still incumbent upon parents to remain active advocates every step of the way. Ms. Becker shows parents just how this is possible, though making clear that it’s never easy. Regrettably, my copy of the book contained several misspellings and typos that, as someone who reads not only voraciously but professionally, were somewhat arresting. While I’d be remiss in not mentioning these errors, I’ve realized that I may finally have to surrender in two theaters here. First of all, things like “and” for “an” are innocent mistakes, especially in the realm of autism publishing, where truly dangerous lies are allowed to run rampant. Furthermore, the great democratization of publishing is not without its perils, and one of them is that with fewer gates, there are fewer gatekeepers. We may have to accept that copy editing and proofreading hold lesser roles in a New Normal of self-publishing and e-books, a tradeoff for hearing voices that may have gone unheard in a publishing industry without today’s less populist spirit. And let’s be frank: given my own spot on the spectrum, I’m going to be more sensitive to minutiae like this. My experience is not necessarily yours. Parents and young adults on the spectrum can both enjoy this collection. 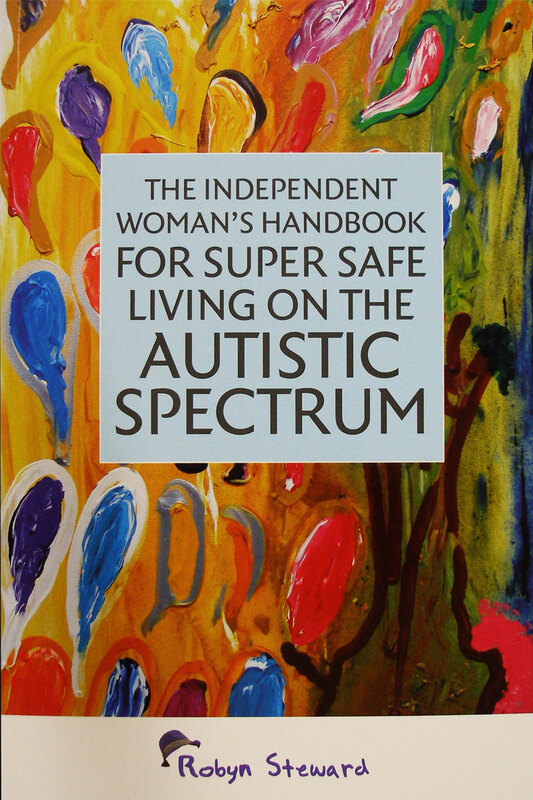 Good autism literature respects the attention spans and time constraints of its prospective readership and presents itself in a format that allows for short bursts of intense reading: books that can be put down as easily as they can be picked back up, allowing active brains or active lives to interrupt reading sessions without the loss of momentum that has stopped many a dedicated reader from going cover to cover. (Ask my copy of The Brothers Karamazov.) Parents will appreciate Ms. Becker’s devotion not only to her son with autism but to her whole family, and should feel emboldened by the author’s tireless advocacy for her son in a world that too often prefers the path of least resistance. For fellow readers in their twenties, Autism and the World According to Matt is an especially poignant read, allowing us to compare, contrast, and empathize with the book’s subject – an outsize and likable character indeed. Perhaps the most striking anecdote in Ms. Becker’s collection involves happening upon her visibly distraught son, complaining that his memory is compromised, and that years of his life have been bulk-erased from his brain. There were many situations I could relate to throughout the book. This was emphatically not one of them, and so it is that I can’t get it out of my head. Ms. Becker suspects a particularly nasty bout of pneumonia, or even a novel means of adaptation whereby Matt is made to forget his most trying challenges as the only way to fully move forward. We never discover what wipes Matt’s neural slate clean. I may not find myself up at night fearing that I too will one day wake up without recollections of my life – I wouldn’t mind some eternal sunshine for a few select years – but I do find myself thinking about how even with remarkable progress, this thing of ours is still a series of mysteries within mysteries, more unknowns than knowns, a puzzle with unlimited solutions or no solution at all, depending on where you’re standing. 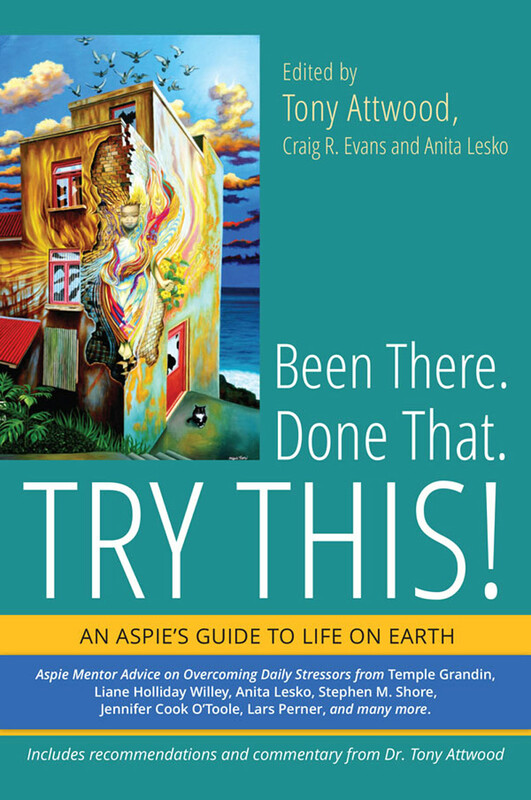 Autism Bookshelf: Been There, Done That, Try This! When you exist on the “high-functioning” end of the autism spectrum, it’s easy to look around you and feel quite a bit less than functional. Watching your peers succeed in the venues where you’ve so often failed — relationships, careers, or simply managing those tiny travails of day-to-day life — can prove to be one of the hardest parts of living on the spectrum. It certainly has been for this reader. But out of that twinge of discomfort comes a desire to make that twinge go away. It isn’t easy: there’s no magic pill, no automatic software update, no closing one’s eyes and blocking it out. But with JKP’s latest title, Been There. Done That. Try This!, I can take to heart the accounts of people quite like me who not only acknowledge these obstacles we face together, but also the ways in which we mustn’t make them worse, and ultimately, how we can overcome them. And though taking inventory of myself and the advice of others is harder than squeezing my eyes shut, the dividends are far greater. Together, these self-advocates offer perspectives, life stories, and advice for not only living, but thriving in an often inhospitable world. Under the auspices of the venerable Asperger’s expert Dr. Tony Attwood, leading self-advocate Anita Lesko, and “community organizer” Craig Evans comes a full chorus of voices from the autism spectrum: young, old, male, female, and global. Together, these self-advocates offer perspectives, life stories, and advice for not only living, but thriving in an often inhospitable world. Been There. Done That. Try This! addresses every major stressor in the life of a young adult with Asperger’s, from the personal to the interpersonal, from schools to offices, from trying to “pass” to disclosing a diagnosis. Each issue has its essayists’ anecdotal advice matched with Dr. Attwood’s professional insight, rounding out a comprehensive approach to meeting and defeating the challenges we face. The most valuable lesson of Been There. Done That. Try This! is that it in its very title, it reminds us of an important axiom I fear we often lose sight of: that as unique as each one of us is on the spectrum, we’re just as mundane as we are unique, too. You and I are neither the first nor last person to wince under the hum of fluorescent lights, to get lost in our own worlds despite real-world consequences, to sit and wonder if there’s anyone in this world we’ll ever share a life with. So what a relief it is that there are people so expertly assembled here to lend us some firsthand counsel. For no one to have been there and done that would be a uniqueness I’d want no part of. Perhaps successful readers will one day find themselves lending counsel of their own. Daniel Heinlein is the host of The Autism Channel’s flagship show: I Am Autistic.